1) Inner packing: 1pcs/color box. 2) Outer packing: Carton box. 3) Other packing available according to client's request. 4. Any question, Please contact us in first time. We'll reply as soon as possible. 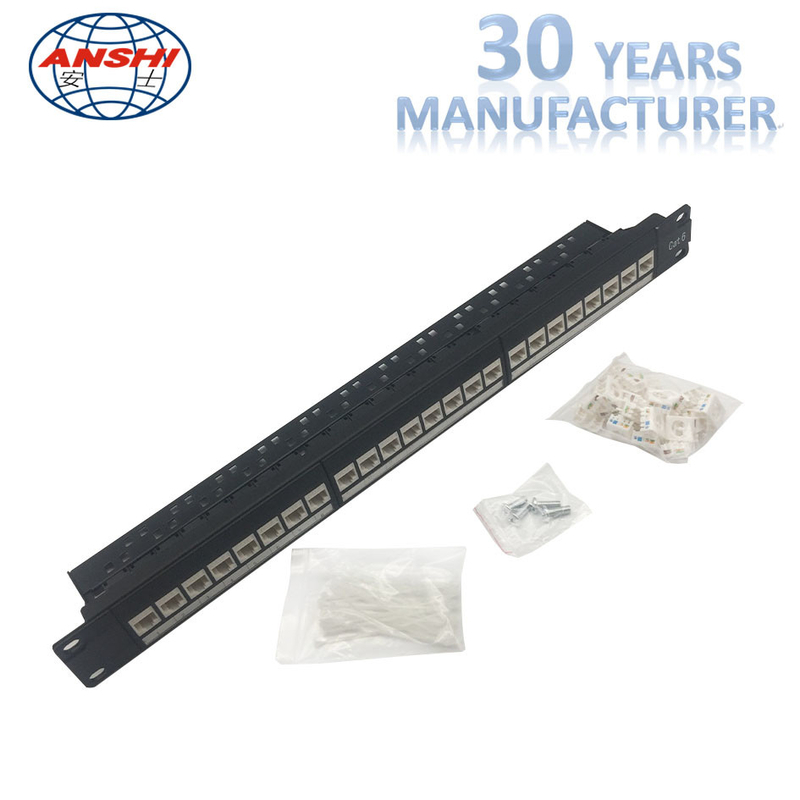 1) The patch panel is a 19-inch rack mountable RJ45 jack panels, each panel has cutouts that accept virtually as snap-in jacks. 2) The kits includes the new icon labels with plastic holders that you mount on the front of the panels for easy port identification. 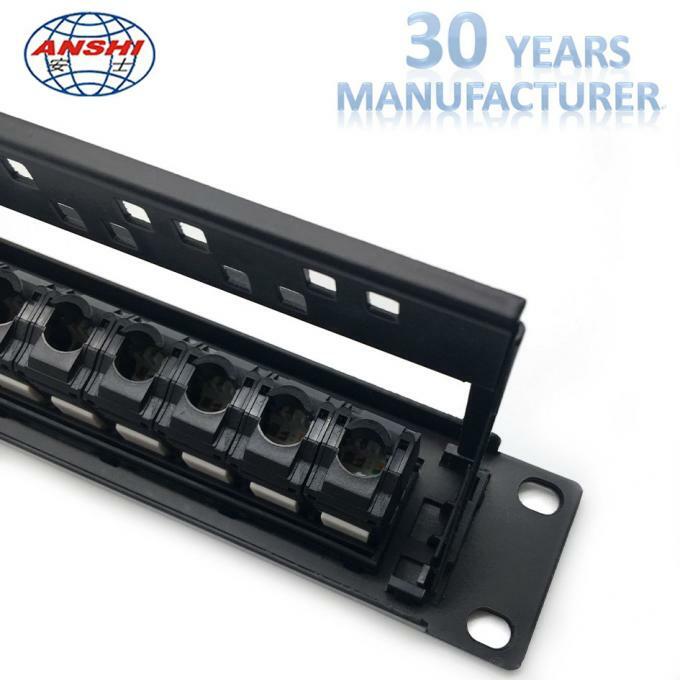 3) Blank anodized panels can be mounted directly to an EIA standard 19-inch relay back or cabinets. 1) Design to mount to any standard 19-inch rack or cabinet. 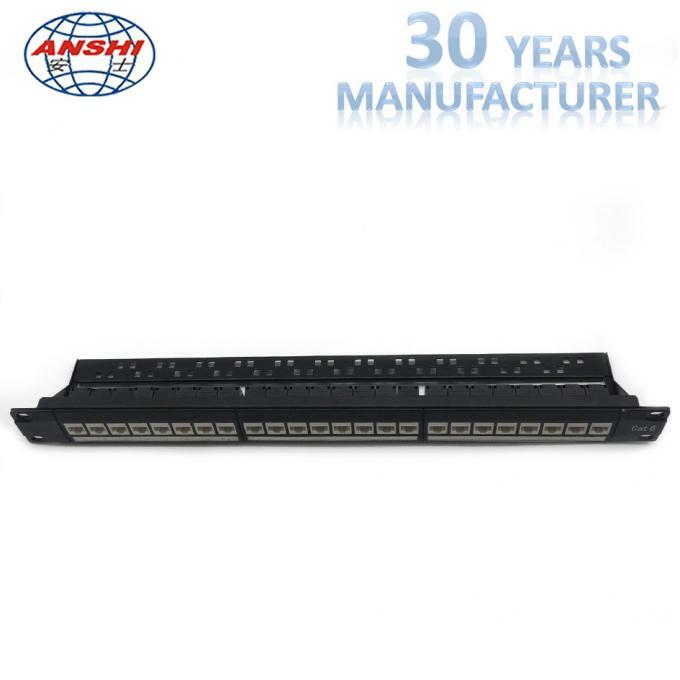 2) 24-port Cat6 patch panel. 3) Space saving, high-density 1U. 4) Black electrostatic powder-coated steel: Phosphor bronze with tin plating over nickel. 5) Meet or exceed the requirement of ANSI/TIA/EIA 568B. 2. 6) Use keystone jacks and keystone inserts to configure you panel to accommodate a variety of schemes. 7) Sturdy aluminum plate around RJ45 jacks. 9) Available with T568A/T568B wiring pattern and meeting the requirement of Cat6 standard. 10)Color coded TIA/EIA 568A (International) and 568B (AT&T standard) wiring for easy installation. 11)Termination accepts 22, 24, 26AWG (0.64, 0.5 and 0.4) solid wires (only for UTP). 13)Plastic: Fire self-extinguish high-impact plastic.